GIVEN THE intelligent, unfussy rugby instincts that characterise his game, it comes as no surprise that Alex Goode also possesses a pretty precise memory. Describing a short sequence an hour into his first Test start at Port Elizabeth 10 months ago – the last time he faced Springbok scrum-half Ruan Pienaar – the Saracens and England full-back offers a razor-sharp recollection. In one of many contributions to his country’s cause that afternoon, the 24 year-old then slid across the turf to take an athletic mark before unfurling a 50-metre clearance with just enough oomph to prevent a quick throw-in and give everyone a rest. No wonder it springs to mind. Major protagonists in the pivotal battle for territory, Goode and Pienaar will once more lock intellectual horns on Saturday when Ulster travel to Twickenham for the closest Heineken Cup quarter-final to call. 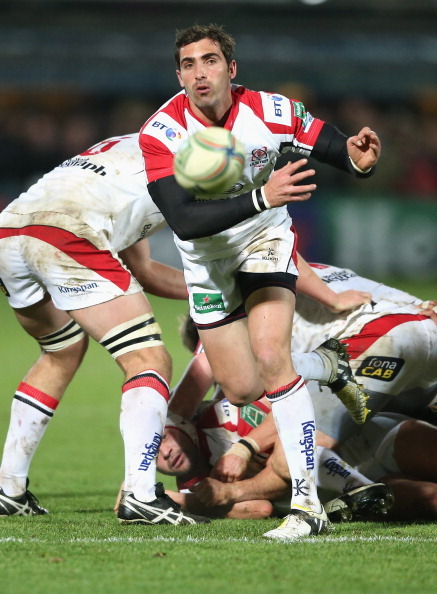 Ulster’s defeat of Leinster in Dublin arrested a slump of one win in five since their pool-stage defeat of Castres. Lineout lynchpin Johann Muller has returned to action after suffering a broken arm and the visitors will not fear a return to the scene of their heavy loss in last year’s final. Still, Saracens also have the credentials to become England’s first winners since 2007. 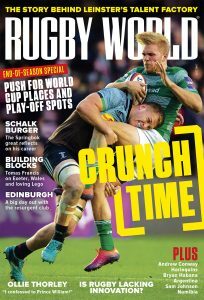 Their own quarter-final exit last season – a 22-3 dismantling at home to Clermont Auvergne – supplied a chastening lesson. “We got taught about knockout rugby,” Goode admits. “From minute one, they converted every opportunity. They built a lead and squeezed us with their kicking game. “Brock James and Morgan Parra pinned us back, Sitiveni Sivivatu ran riot and their power was unbelievable. In no time we were 9-0 down and chasing. They played the perfect way. Goode is too pragmatic to issue any now-or-never ultimatums, but does believe that his side are “five per cent” better than they were before being overturned by Auvergne. And the immediate aim is obvious. While comfortable qualification from Pool One in January – featuring twin thrashings of Edinburgh to supplement victories over Racing Metro and Munster – signalled intent, Saracens’ emergence from the international window has been more encouraging. Alongside fellow Six Nations regulars Brad Barritt, Chris Ashton, Kelly Brown and Mako Vunipola, Goode jumped straight back into domestic action after England’s Grand Slam-shattering reverse in Wales, aiding one of the stand-out displays of this season’s Aviva Premiership as champions Harlequins were battered in Barnet. Following another of Saracens’ envy-inducing bonding trips – this time to Verbier – Wasps were also beaten on Saturday, surrendering a 13-0 lead. Understandably, even without sojourns to the Swiss Alps, Goode has enjoyed the happy home-coming. “Playing in the Six Nations was great, but it was gutting to lose by such a big margin in Cardiff,” he concedes. “That’s the brilliant thing about rugby, though – you can move on. “It’s comforting to come back to Saracens. We get on so well and nobody gets treated differently. Verbier accentuated that. It might sound sad, but I got to be with the mates that I hadn’t seen for eight or nine weeks. Paying tribute to those who “put in the leg-work” during the Six Nations – the likes of outstanding openside flanker Will Fraser and David Strettle, who has rediscovered the scoring touch – Goode neglects to mention his own influence. However, the two assists in High Wycombe at the weekend that completed the Saracens comeback were exceptional. The second of these – a neat grubber that turned Tom Varndell and Elliot Daly – brought a try for Ashton, denting the theory that England’s back three are incompatible. Smiling at the suggestion that the score was just as important to Stuart Lancaster as anyone else, Goode finishes by looking forward to a season-defining date at HQ. “For me, the next task with England is to nail down my position at 15,” Goode says. “I know Mike Brown, Ben Foden and Eliott Daly are snapping at my heels so I can never feel like it’s my shirt. 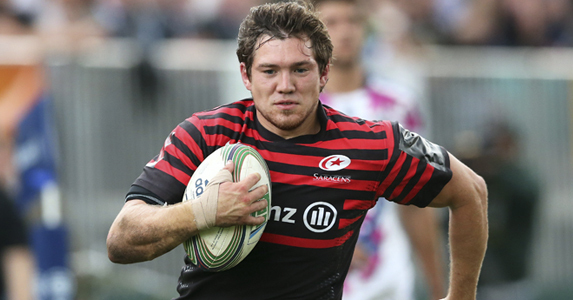 The Argentina tour is a big goal, but it’s all about Saracens, now. “To be honest, Chris has been a different person all week because scoring is what drives him. He has already taught me so much about support lines and if we keep developing together, I’m sure we’ll get even better. That starts on Saturday. “The platform is key, so our forwards need to work as hard as they have been. Outside that, we have to be clinical and take every chance we get.